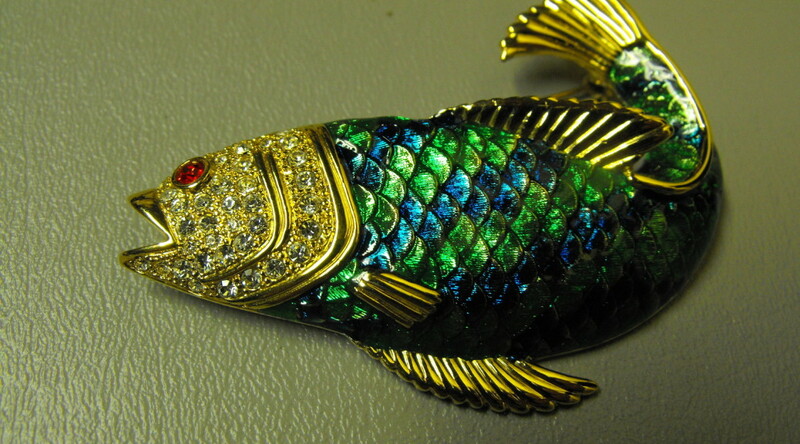 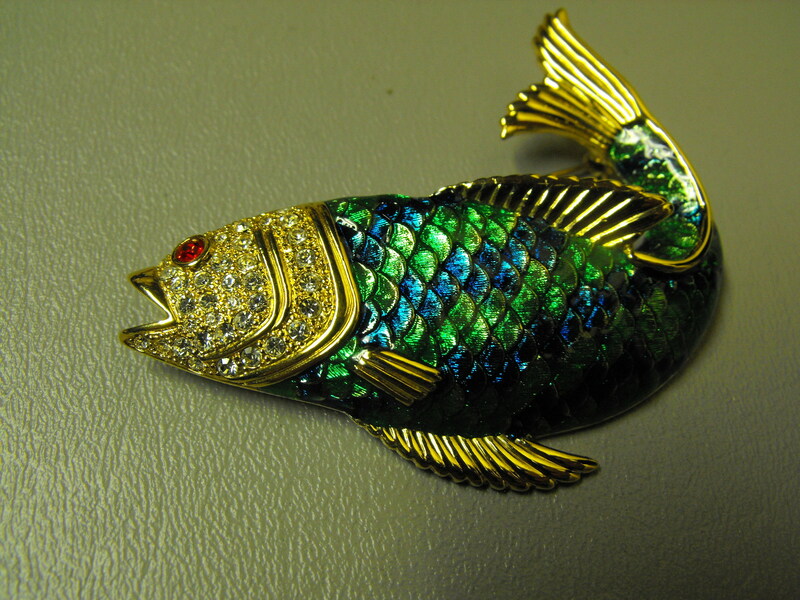 This is a real beauty……we caught (we mean bought) this pin today. 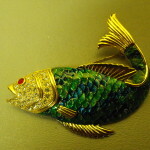 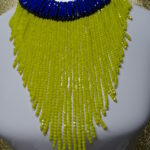 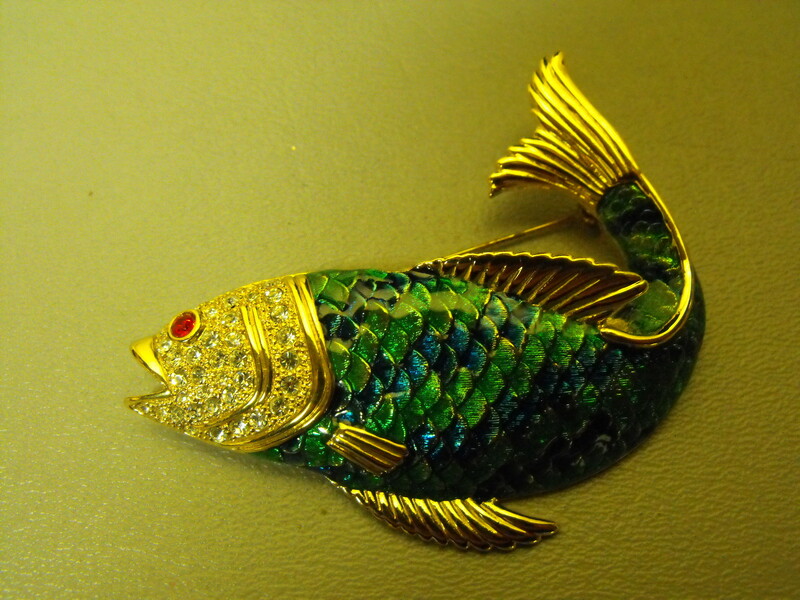 Blue/Green Enamel scales accented with beautiful rhinestones and a orange crystal eye all set against a rich gold color tail and fins. 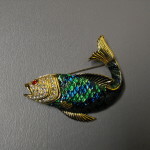 The pin measures about 3″ wide and about 2″ from top of tail to the bottom of the body. 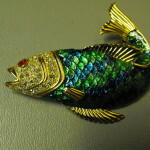 So……make a statement that says I love fish……fried, baked, poached, or worn !